I have been asked about how I could possibly find time for myself with all I have on my plate as a mother, wife and caregiver. I pointed this out in my first Ask Jen post, but I'll just say again, I'm not aiming for any sort of perfect. I'm not going to cry in my Cheerios if something doesn't get done. In fact, I must admit I completely forgot about my son's school picture day earlier this month. The school sent home the order form and I fully intended to place an order online beforehand and send AJ to school looking sharp. But because I spaced it (the order form got lost under other papers and I didn't write it on the calendar), he wore some graphic tee and probably shorts that day. That's a bummer, but it's not the end of the world. I got some nice pictures of him last year, and I can try again next year. 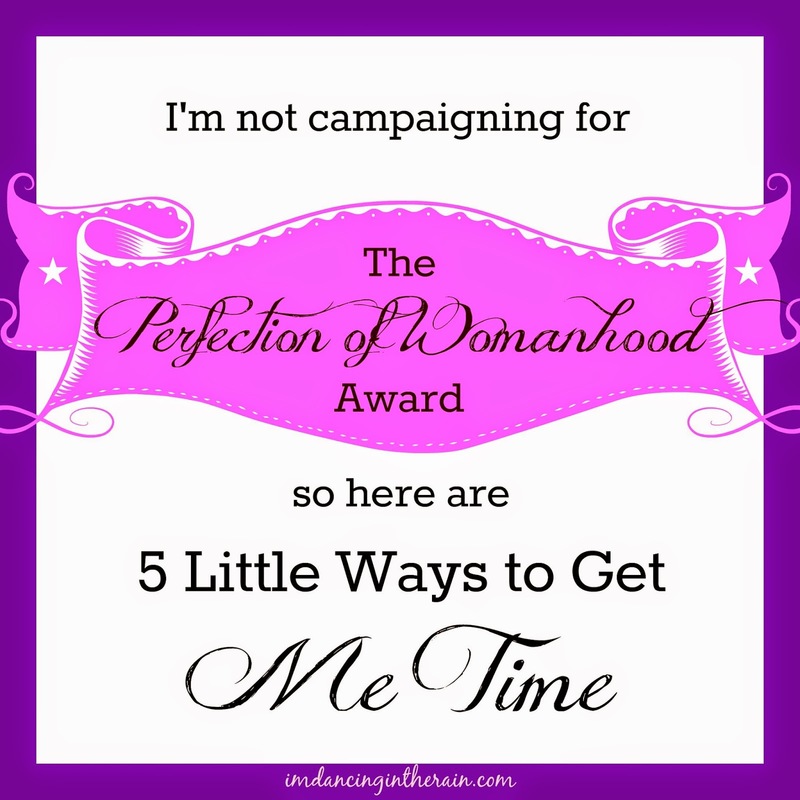 I may not be campaigning for the Perfection of Womanhood Award, but we all know it's a pretty universal female trait to think of ourselves last. We are natural nurturers. You need new bras, but your little one also needs new shoes and you can't afford both at once? That's alright, the new bras can wait. I am thinking of myself last a lot these days since my husband's most recent hospital stay. There are little things like coloring and cutting my hair, to bigger things like going to my doctor, that I just can't seem to find the right time for in amongst his stuff. I even missed the last Girl's Night Out. There are, however, a few little things I am able to sprinkle into my days that are all mine. Moments that help me keep a routine, and stay sane. 1. I enjoy my first cup of coffee sitting and messing around on my phone. Yup, I get a nice hot cuppa, plop down on the couch and grab my phone to check out my notifications and play my word games. I use my phone to keep an eye on the time and prod my son along as he's getting ready for school. 2. I shower every day. Usually I do things around the house or get a walk in the morning, holding off a shower until noon or 1:00, but I feel so good afterwards that it's like I have two distinct parts of my day. A shower is my reboot. 3. I walk every other day. I have developed this routine of doing regular maintenance household chores one morning, walk the next, chores, walk, chores, walk.... Walks are very therapeutic. Not to mention exercise. They're win-win, really. 4. Blogging and social media. One of the reasons most bloggers I know cite for why they love it is that it's all there's. "My space", "my little corner of the world", "where I am fully myself".... This blog is all mine, it's one of the best things I've ever done and I'm very proud of it. Social media is partially blog related and partially just personal superfluous fun. As long as something else doesn't need my undivided attention, I check in regularly. If you're not a blogger, maybe journaling, or some other creative outlet is your thing. I also like to make things with yarn. 5. I watch TV. Between live TV, Netflix and Hulu, I can find something to watch pretty much every night of the world. With or without a glass of wine, it's my unwind time. The trick is to force myself to go to bed no later than 11:00! Maybe you do some of these things too, but hadn't thought of them as "me time". Perhaps you don't but should. 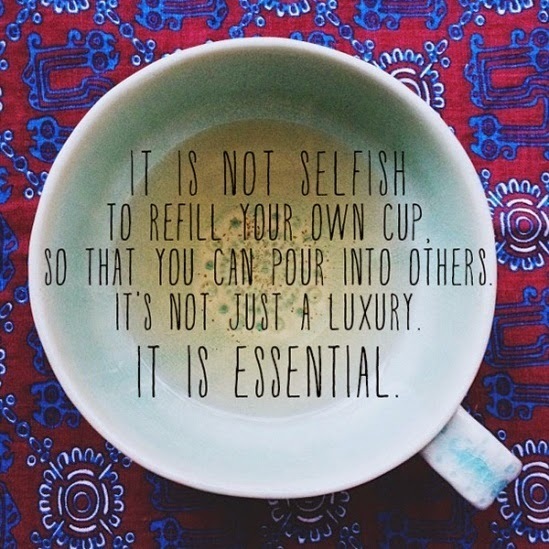 I really believe that "self care" is not selfish. I think it's only selfish when you're never thinking of others. Most human beings are good and decent and not so self-absorbed that they're only thinking of themselves all the time. Obviously that's true for me. It's probably true for you as well. How do you take time for yourself on a daily basis?